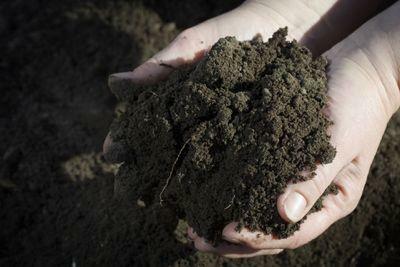 Learn the different types of soil here. A soil sifter can be a useful tool when you need to remove debris from your garden. There are different types depending on your needs. You also have to choice of buying one or making one yourself. Even a garden spot that has been used for many years always seems to have rocks and other things that have sprung up over the winter that you have to remove. You're never sure how they got there, but they seem to give a whole new meaning to the term "rock garden". A soil sifter is also a perfect tool to break the clumps out of compost. This makes your compost easier to spread and use. It also assures that you don't have any uncomposted kitchen scraps that aren't quite ready to go into your garden. These are several reasons why you need a soil sifter. A soil sifter makes the job of removing large, unwanted items form your soil or compost much easier. It also aerates the soil, making it soft and easy to work in. Your plants will love it because their roots will be able to move freely within the soil. You'll love it, too because the soil will be much easier to work with. Your soil will be healthier, creating a healthy, beautiful landscape. You'll also find that using a soil sifter is much easier on your back, making gardening even more enjoyable. Once the soil is sifted, you can also use it as potting soil. There are two different types of soil sifters, electric and manual. Electric soil sifters can be several hundred dollars and are generally used by professional landscapers. Most homeowners do not need this type of garden tool, but if you're interested you can check out the EZ Screen as an example. It runs around $800 plus shipping. For the typical home gardener, a manual soil sifter fits the bill perfectly. One excellent example is the Wheelbarrow Sifter. It is designed to fit on any wheelbarrow and is made from a wooden frame and screen mesh. The best part is, it's affordably priced around $60. If you are handy with a hammer, you can easily make your own soil sifter. All you need are a few hand tools and a little know-how. Here are a few sites with great examples of how to build a soil sifter of your own. Each is slightly different, so it's up to you to decide which one meets your needs (and skill level) the best. Hobby Farms has a simple how-to guide to build your own soil sifter. Hammer Zone describes how to build a soil sifter while also explaining improvements that needed to be made. This project is said to take an hour and a half. Mother Earth News offers these plans--with wheels! Canadian Living offers plans for a smaller soil sifter. This is perfect for container gardens. A soil sifter is an almost indispensable garden tool. As you can see, several options are available to you. Whichever you choose, it won't be long before you wonder why you didn't get one sooner.